Seppuku is the act of suicide where one rips one’s stomach to pieces. During the Sengoku Period (1493-1573), the age of provincial wars, the load of a castle who lost a fight considered it a disgrace to be beheaded by the enemy, and thus he committed seppuku before he was caught by the enemy. 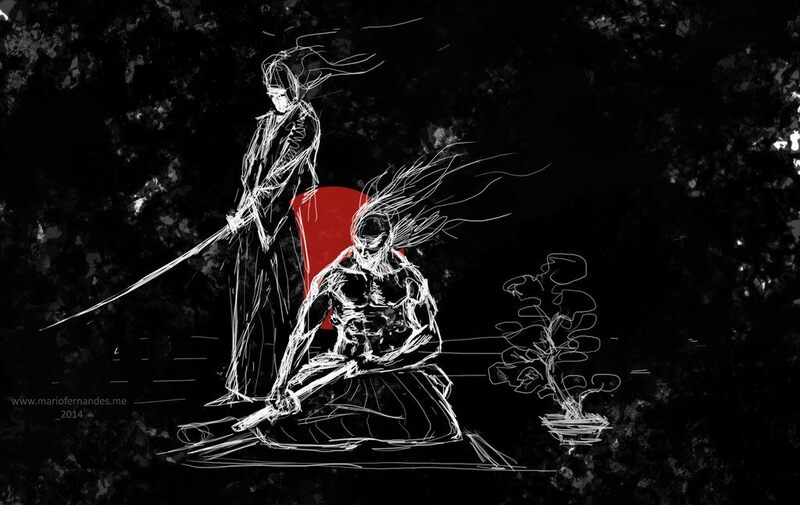 During the Edo Period (1603-1867), in order to take responsibility and/or to clear one’s name, bushi (samurai warriors) would commit seppuku in a particular form. Kaishakunin (assistant) is an inevitable part of seppuku, since once the stomach is cut, people suffer for a long time, and so the kaishakunin assist the person’s death by cutting of the neck of the person committing seppuku. Since the Meiji Period (1868-1912), there have been cases of seppuku performed by soldiers. 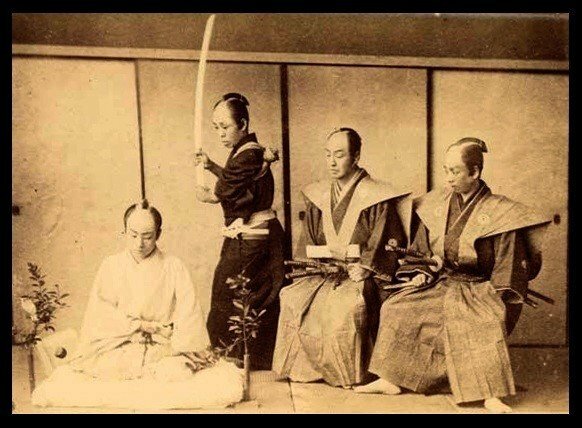 Kaishakunin (the second from the left) assist the person’s death by cutting of the neck of the person (left end) committing seppuku.